Batu is still quite rural, with small herds of cows grazing in meadows in some neighbourhoods, even though it is near the Petronas Twin Towers. Batu has Kuala Lumpur's highest proportion of public housing, mostly the tall and numerous tower blocks of the Projek Perumahan Rakyat, or PPR. Food stalls line the side streets. 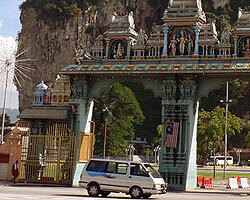 Batu's population is evenly mixed between Malays and Chinese, at around 40% each, while around 15% of the population is Indian. Batu does have an upscale area, Sentul, divided into east and west sections, and with new real estate projects.